If there’s one thing that is available in abundance in the Yarra Valley region, other than wine of course, is fresh and seasonal local produce. Home to one of the most ethical large scale commercial salmon farm and the famous Yarra Valley Dairy, one is spoilt for choice when it comes to ingredients and produce. 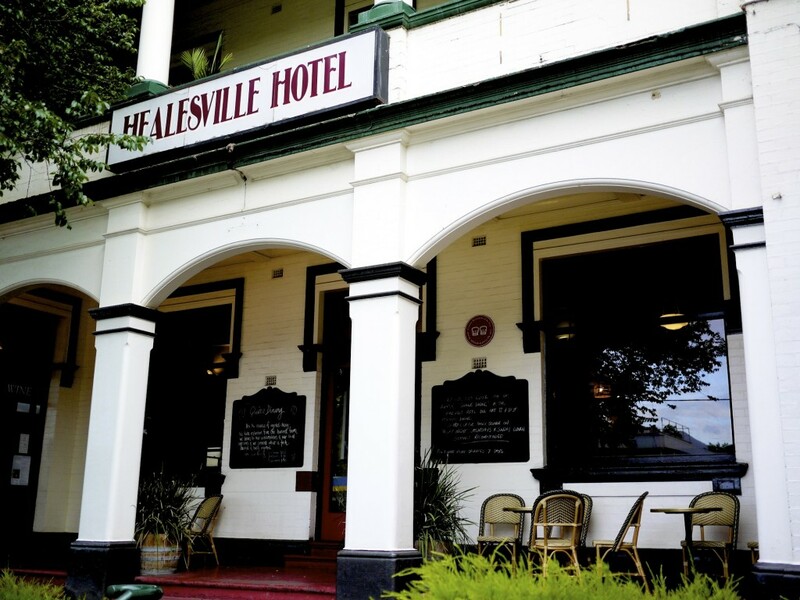 It therefore wasn’t surprising to find the culinary outpost of the region, The Healesville Hotel, has received many accolades over the years. I felt I had long neglected the restaurant having headed straight for the wineries without a second thought and therefore decided to use my birthday as an opportunity to pay a visit. 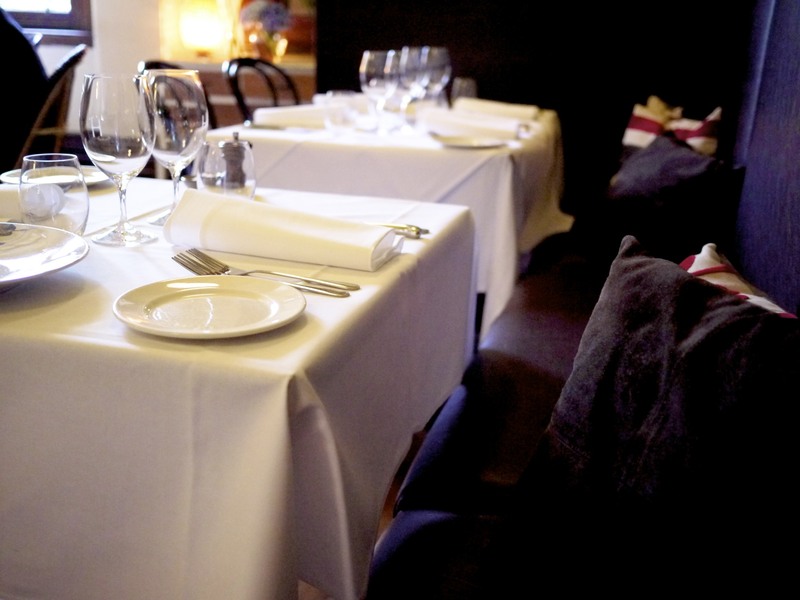 A casual restaurant during the week, the dining room of the Healesville Hotel transforms into the elegant space that is Quince Dining for the weekend to entertain the palate of those discerning diners who come to seek culinary adventures. Out comes the crisp linen, silver cutleries and quality wine glasses, yet the charming country character clearly remains present amongst the beautiful arrangement of seasonal flowers decorated across the room and the open fire place. 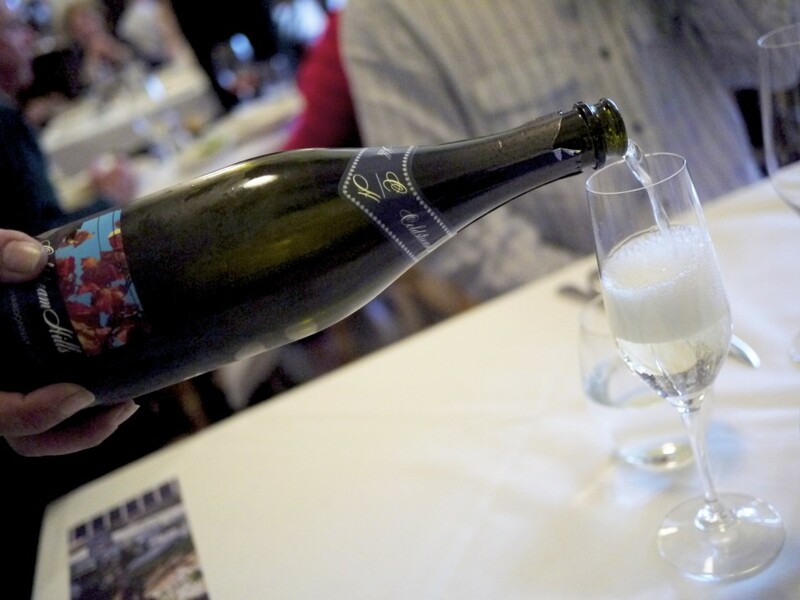 Obviously an occasion like this called for a glass of bubbly and what better than to try something local with the 2010 Pinot Noir Chardonnay, Coldstream Hills, Yarra Valley? It had a complex nose with notes of citrus and tart finish. My kind of bubbly! 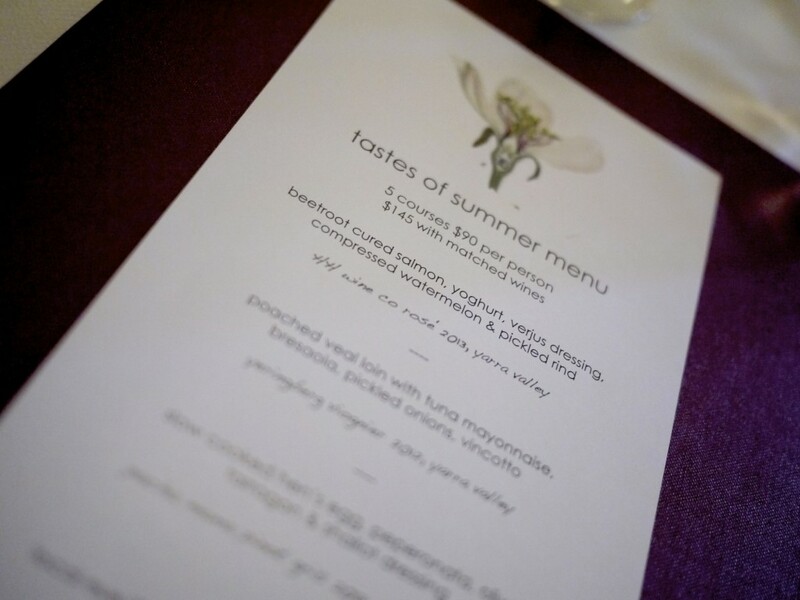 To be able to enjoy the variety of fresh season produce from the region we opted for the five course tasting menu coming at $90 per head. In writing the menu looked superb and certainly made me lick my lips. 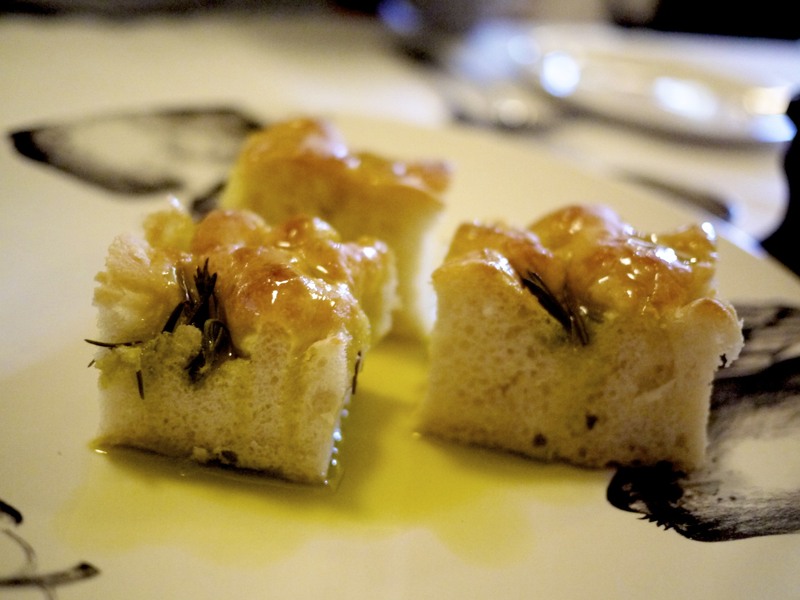 We had some homemade focaccia with rosemary, drizzled with virgin olive oil and sprinkled with sea salt flakes. As far as bread goes this was not bad, although a bit more olive oil would have been welcomed. 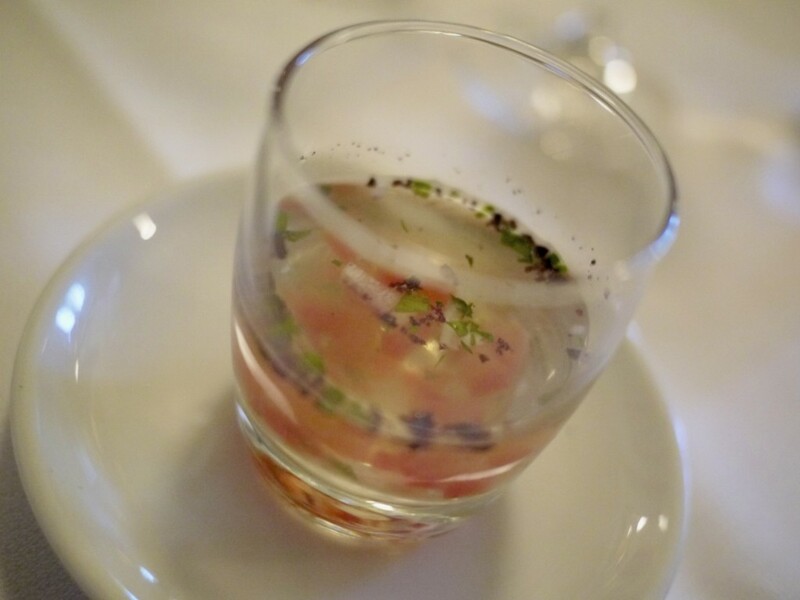 Our palate cleanser was a Tomato consommé with tomato cubes and basil leaves. Defying its appearance, this dish had a very deep flavour of tomato showcasing the quality of their garden’s produce. A promising start! Our first course was perhaps the most disappointing dish of the evening. 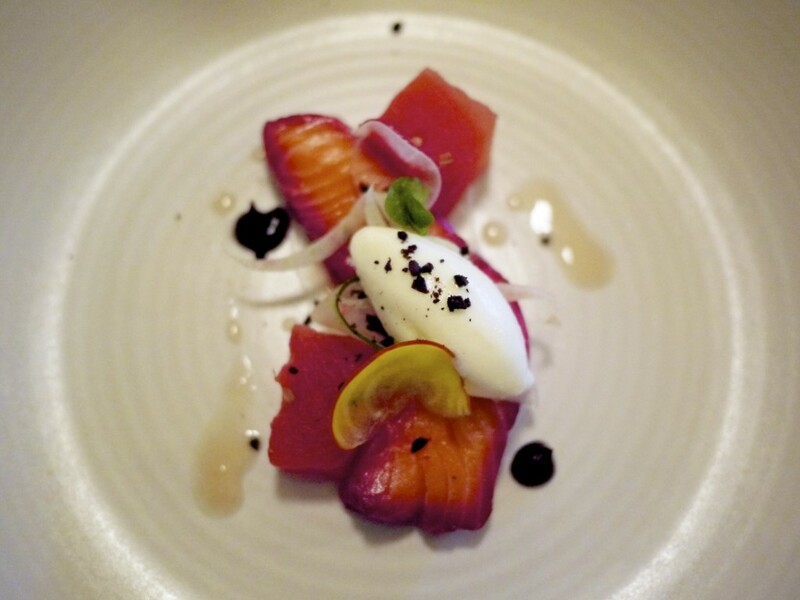 Despite its picture perfect appearance, the Beetroot cured salmon, yoghurt, verjus dressing, compressed watermelon & pickled rind had the finesse of a fine dining dish but unfortunately the fish lacked flavour. What a shame! The fatty salmon was crying out for some attention but instead was overwhelmed with the tart yoghurt. 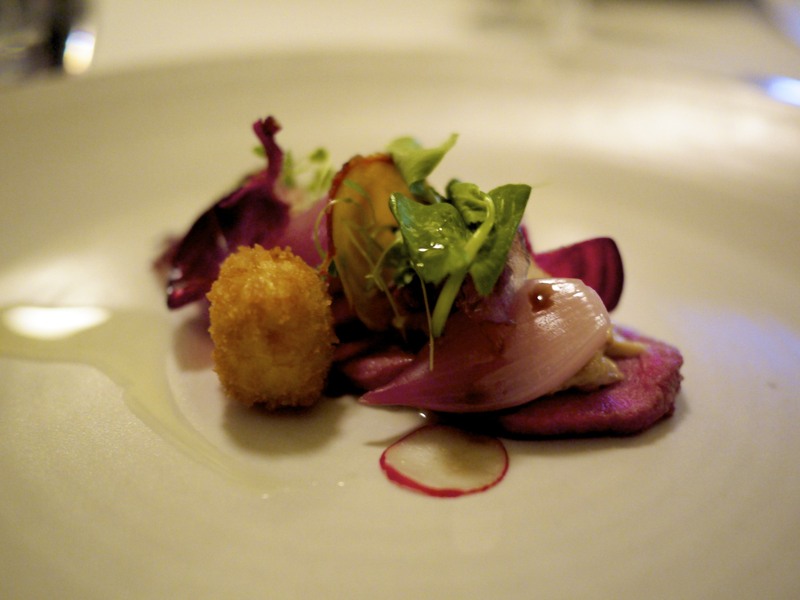 A much better course was the Poached veal loin with tuna mayonnaise, bresaola, pickled onions, vincotto. Camilleri’s take on the classic Vitello Tonatto was far more enjoyable than the classic versions I have tried to date. The perfectly cooked veal oozed with flavours. The crumbed and deep fried tuna mayonnaise had a lovely contrast of crispy texture and juicy filling. 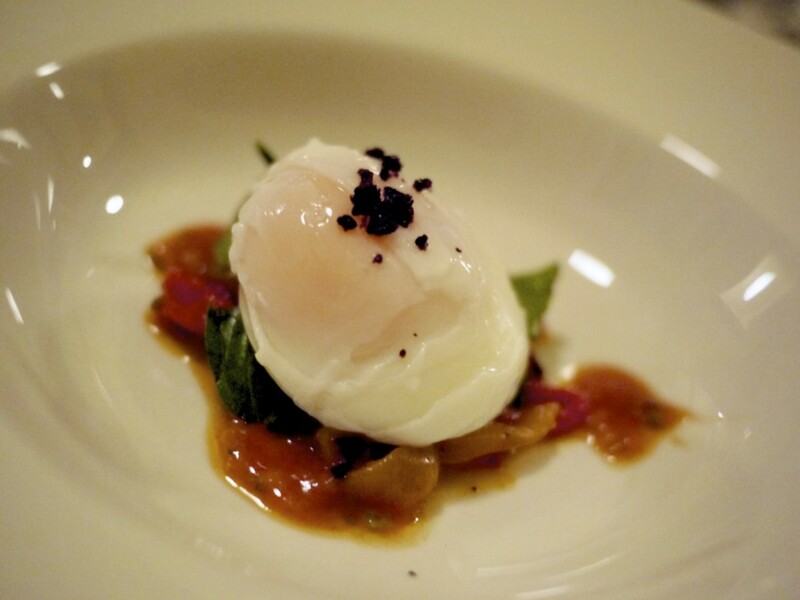 Third course was Slow cooked hen’s egg, peperonata, olive, tarragon & shallot dressing. Again, I appreciated the quality of the ingredients from the freshly laid egg to the homemade peperonata but there was a significant lack of flavour, making the dish overall feel mundane. Furthermore, it was cruel to serve a perfectly poached egg with nothing to mop it up with! 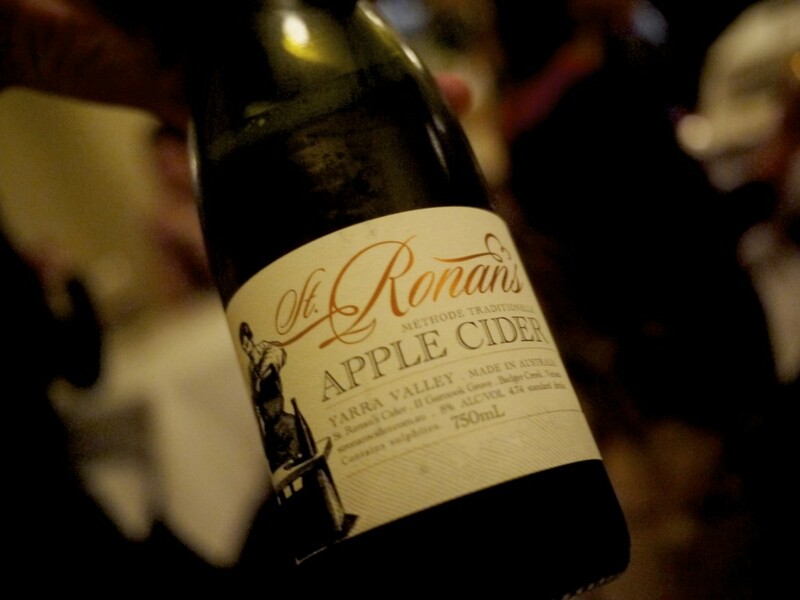 A glass of St Ronan’s method traditionelle apple cider, Yarra Valley. We recently followed the ale and cider trail in the Yarra Valley but didn’t come across this particular one so I was curious to try it, especially after being told that the method used to making this cider followed exactly the same way champagne is made. Clean and fresh flavours of apple and pear with a beautifully creamy lingering note. The cider went particularly well with my Slow cooked pork belly, crumbed cheek, lentil, peach and fennel. A far stronger course here utilising all the great produce and ingredients again, in particular the quality of the meat. 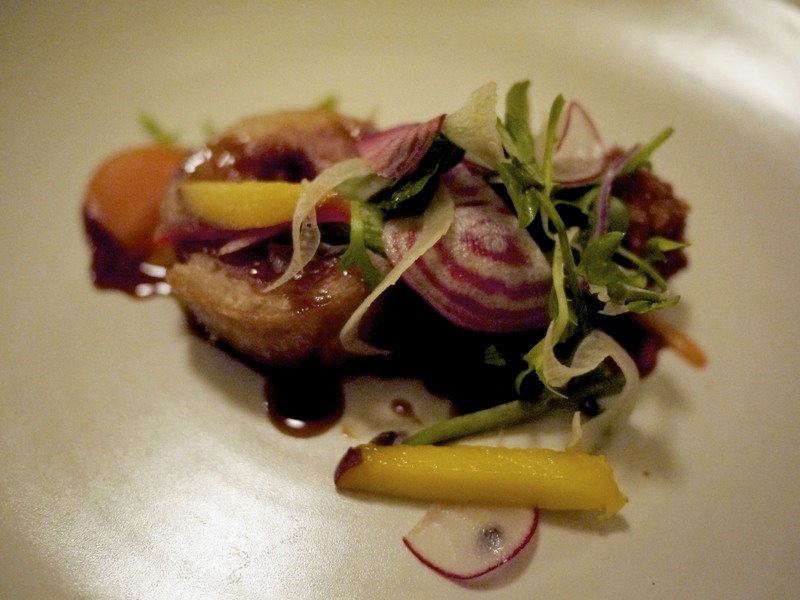 Great balance between the fat, lean meat and crackling for the pork belly, although my favourite was the crumbed cheek with its contrasting soft meat and crispy coat. The slightly sweet peach was surprisingly working in harmony with the pork and my cider. Fabulous! 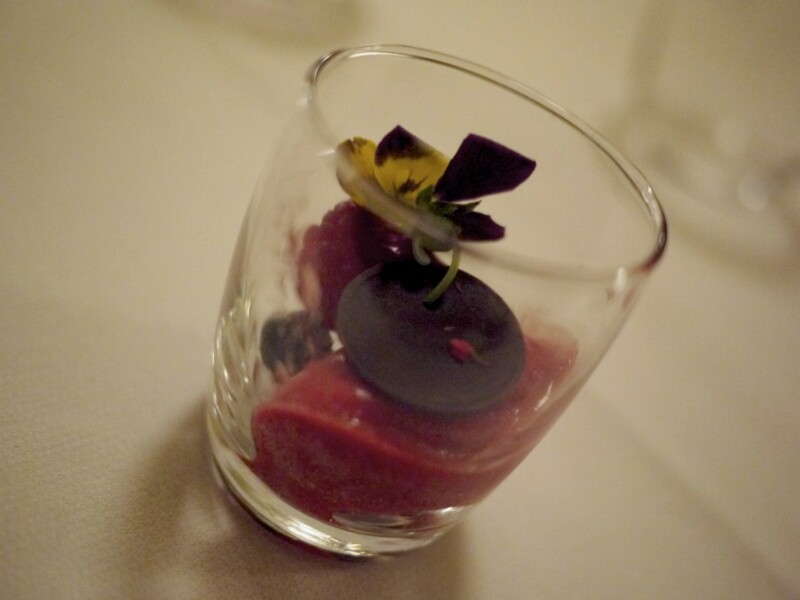 A refreshing palate cleanser of Raspberry sorbet and dark chocolate before our finale. Good level of sharpness from the raspberry. 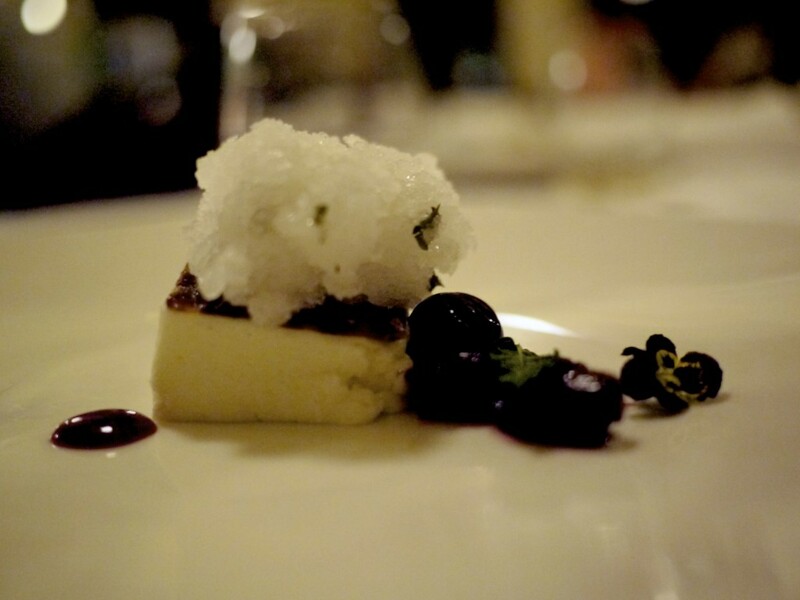 Timboon fromage blanc, cherry compote, lemon verbena granita, brandy snap. A very versatile curd cheese with a fresh and clean taste, perfect as a canvass for the sweet cherry compote, finishing with an aromatic note and a contrasting cold element from the verbena granita. 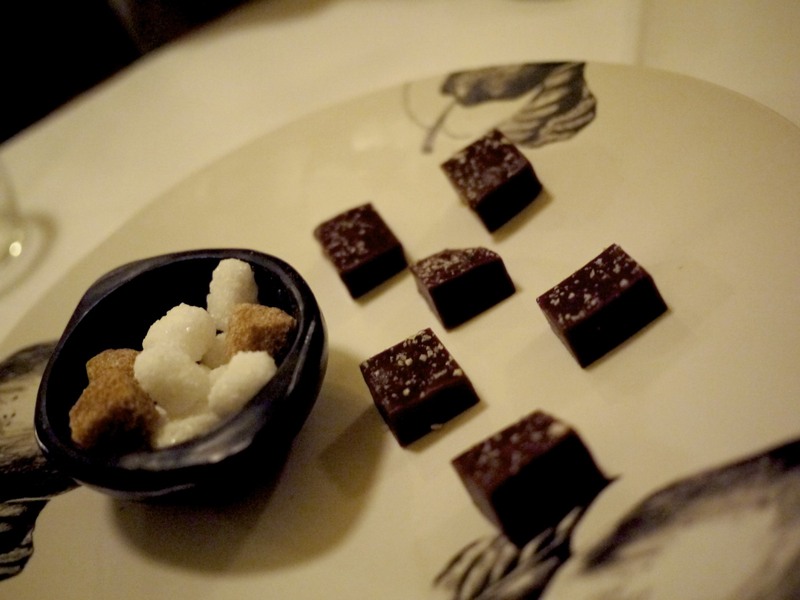 The brandy snap added that textural element to sink your teeth into. Some chocolate petit fours to go with our coffee to end the meal. It’s encouraging to see a restaurant of this calibre in the Yarra Valley. Quince Dining was a perfect venue to showcase the quality produce and ingredients from the region. I must admit, however, that I wished the front of house was much more engaging with their diners, sharing with us the background and stories on the unsung heroes; the farmers and suppliers. Don’t get me wrong. The staff were functional and professional but equally shy and not forthcoming, never going beyond reciting what was written on the menu. Also, while there were certainly some hero moments with regards to the dishes, overall more work needed to be done to maximise the flavour of the produce used. Sometimes it was as simple as a few more pinches of salt, but others (like the cured salmon) needed more serious work. This was a valiant effort and the restaurant should be applauded for supporting such an endeavour. I look forward to seeing how this establishment evolves over the coming seasons. 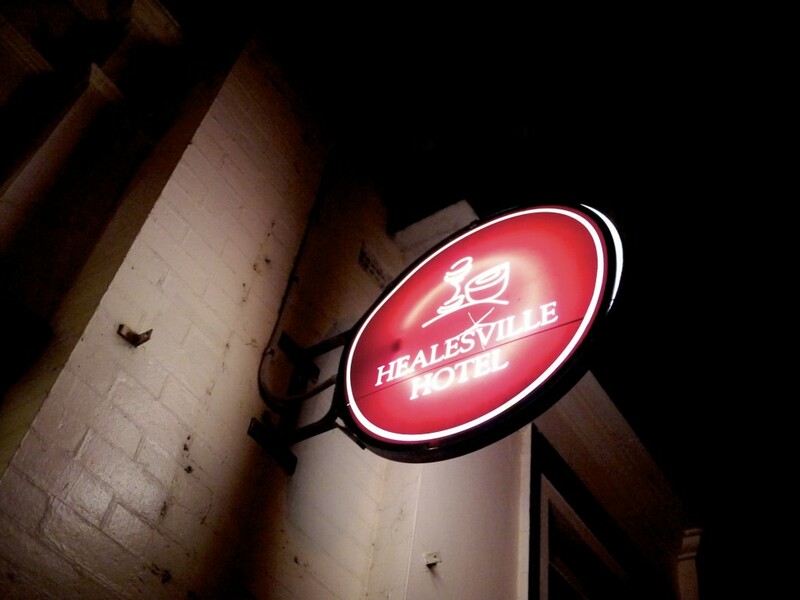 This entry was posted in Australia and tagged Australia, Clinton Camilleri, Healesville, Healesville Restaurant, Quince Dining, Victoria, Yarra Valley on June 1, 2014 by admin.